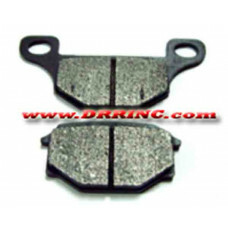 DRR Parts offers Yamaha ,Suzuki, Eton, DRR, APEX, & Kawasaki Motor Cycle, ATV, & Scooter Brake Pads and Belts. 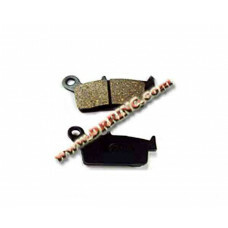 These products are value priced and are ready to ship out of Ohio, USA. 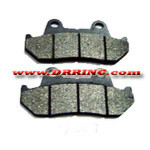 Similar to FA67 fits the following bikes SUZUKI ROAD BIKE GSXR 50 (RB 50 H) 87 F GN 125 EM/EN/EP/ER/ES/ET 91-96 F CAGIVA WMX 125/250 89-91 R KTM D-XC/E-XC/E-GS 125 90-91 F & R D-XC.. 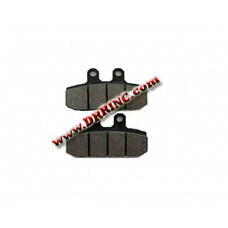 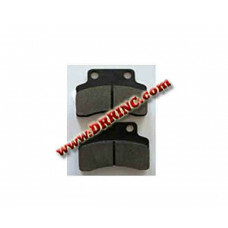 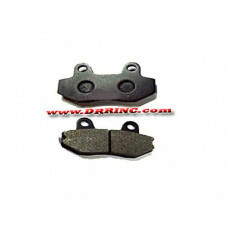 Brake pad cross reference FA69 90 x 49 x 10mm CN 250 Helix 86-87 F CB 450 SC ‘Nighthawk’ 83-86 F CMX 450 C Rebel 86-87 F CX 500 C Custom 82 F CX 500 TC Turbo 82 F & R FT 500 ‘Asc.. 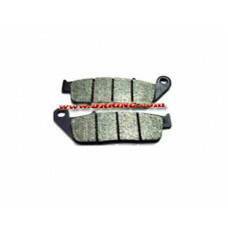 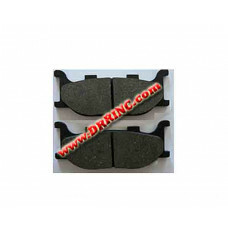 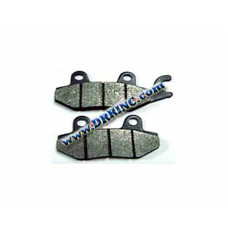 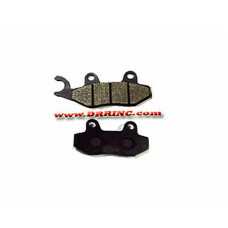 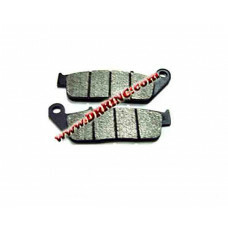 Brakes pads for the following units cross reference FA83 ADLY ATV Interceptor 300 06 F & R 300 Utility 06 F & R KAWASAKI ROAD BIKE AR 50 A1 82 F AR 80 A1 82 F KAWASAKI DIRT BIKE ..
HONDA ROAD BIKE CMX 250 C/CD Rebel 85-87 F GT 250 Naked 04-05 F&R 250 V-Twin Classic GV250 05 F 250 V-Twin Sport Cruiser GV250 05 F .. 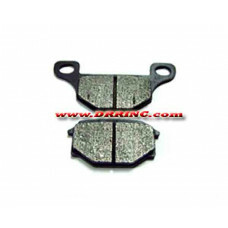 Fits KAWASAKI DIRT BIKE KX 125 G1/H1/H2/J1/J2 89-93 F KDX 200 E5/E6 93-94 F KDX 250 D1/D2/D3/D4 91-94 F KX 250 G1/H1/H2/J1/J2 89-93 F KX 500 E1-E5 89-93 F SUZUKI DIRT BIKE RM 1..
HONDA ROAD BIKE CB-1 (CB400F) 89-90 R NT 650 Hawk GT 88-91 R BUELL M2 Cyclone, S1 Lightning, S1 White Lightning, S3 Thunderbolt, S3T Thunderbolt, X1 Lightning 98-02 R XB9R 02-06 R ..
HONDA ROAD BIKE CN 250 Helix 94-01/05-06 F VFR 750 F 90-97 F CB-1 (CB400F) 89-90 F AN 650 K4/AK4/K5/AK5/K6/AK6 04-06 F NT 650 Hawk GT 88-91 F PC 800 Pacific Coast 89-90/94-98 F CB..
FA165 - KAWASAKI ATV KLF 300 C1-C17 Bayou (Right) 89-05 F Right KLF 400 B1-B7 Bayou (Right) 93-99 F Right KVF 750 A1/A6F Brute Force 750 4x4 05-06 F Right KVF 750 B1/B6F Brute Force 750 4x..
YAMAHA ROAD XV 250 Virago All models 95-06 F FZ6 04-06 F XVS 1100 V Star Custom/V Star Classic 99-06 F XVS 1100 V-Star Silverado 03-06 F ..
KYMCO Cobra Cross/Cobra 50 02-05 F ZX 50 02-05 F ..
UM (UNITED MOTORS) Zyclone 50 04-05 R ..
APRILIA Scarabeo 150 99-03 F Atlantic 500 03-05 F Scarabeo 125/250 GT 04-05 F Scarabeo 500 03-06 F ..